One of the greatest challenges web designers face is the issue of staying relevant. New technology platforms come out, new languages clients need implemented on their web pages, and designing software can be a headache to keep up with. Web developers need to stay relevant and have skills clients are looking for. Design blogs and magazines are a great way to stay up with current and future trends. They inform designers of what they should be expecting from clients in the coming years, and these resources allow time to hone skills before the demand arises. Trends show web developers what they should be working on and learning. If they notice a language they don’t know how to use or a platform they think their clients will want, practicing will give them time to prepare for any expectations clients may want. These message boards provide designers a community to discuss new trends, troubleshoot issues, and provide advice and feedback on designs. These are an invaluable resource for developers to improve their design and mentor others. Design is about creating beautiful, interesting, and user-friendly content. There are many different styles, based on personal preferences. Some designers are inspired by nature, others by technology, others by their culture. Some styles go out of fashion and working with those would be a detriment. Personal style should always be changing, depending on a variety of factors, but those changes help keep web designers relevant. 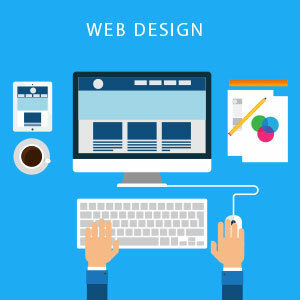 Web designers have chosen careers that are based on current trends. They must adapt to new styles, technologies, and platforms. They must meet the demand of their clients. Designers and developers who do keep up with trends and adapt their style will have much better outcomes than those who do not.